There were times when inflatable kayaks were available as toys for kids, but now these kayaks are coming in advanced forms for professional kayaking. If you are an adventure junkie, you’ll need to look through our list of best inflatable kayaks. Though these type of kayaks can’t be compared to the hard shell kayaks, the main advantage is that they are very compact, portable and durable too. They can be folded into a packing size and can be carried along easily. So, if you’re planning to go for sea voyaging or kayaking, make sure you read our review and consider getting one from our list. 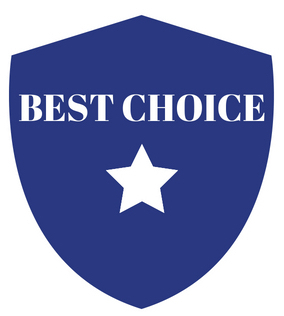 For those who wants to jump straight to our final verdict, here are our top picks. 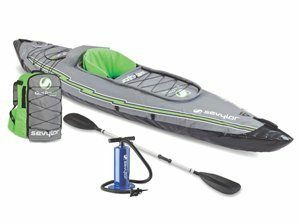 The Advanced Elements AE1007-R inflatable kayak is our top pick and it is loaded with superb features. This kayak is designed specifically for recreational purposes and day touring. It is also spacious enough to accommodate taller people up to 6ft. This best inflatable kayak can be used in different water conditions but it is more suitable for calmer waters such as lakes and bays. Although the Advanced Frame convertible inflatable kayak is rated to be used for rapids and choppier waters, we don’t recommend it to be used in full blown rapids. It has a built-in aluminum rib stern and bow for improved tracking. It is made up of 600 D polyester laminate and diamond ripstop which adds to its durability and sturdiness. It comes pre-assembled and is made up of three materials to increase the resistance against puncture. The seats are adjustable and foldable and can be used according to the comfort level. There is some room for storing things at the back. It includes a duffel bag, repair kit, skeg, D Ring tie downs, and front deck lacing. There are rubber handles for comfortable use and military air valves to improve paddling. There is pressure relief valve present on the floot and the electronically welded seams increase the security. It comes pre-assembled thus very less time required to setup. There is a built-in rib stern and bow. Tracking is also good as compared to other kayaks. Suitable for people below 6 feet height. 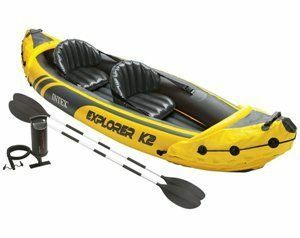 The Intex Explorer K2 Kayak is an inflatable kayak designed for two persons. The kayak can be used on mild rivers and lakes. It can be carried along with ease and is safe and stylish for sea voyaging. 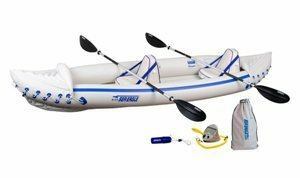 The air inflatable kayak can be used straight out of the box and includes various accessories to improve the user experience. The kayak has an inflatable seat with a back rest. It is very comfortable and adjustable too. Removable skegs and I-beam floor are included to add directional stability. It is made up of Super-tough 30-guage vinyl over a 1200 denier Nylon shell along with some internal tubes. It is certified by National Marine Manufacturers Association. The bright yellow color makes it more visible in low light conditions. It is more suitable for smaller water bodies. The sturdy aluminum oars and the Boston valves add to its durability and sturdiness. The bright yellow color improves visibility. The paddles are not adjustable. The black color at the bottom causes it to absorb heat and expand. The Sea Eagle 370 is designed for day trips and recreational kayaking such as for rivers, camping, flat water, ocean, and family trips. The Sea Eagle Kayak is one of the most popular kayak for use in the ocean as it offers great comfort and maneuverability. This inflatable sea fishing kayak is designed for two person and it's big enough to accommodate dogs too. 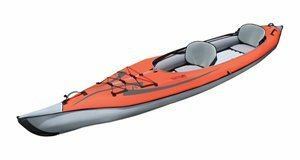 Versatility and flexibility has made this kayak very popular and it is used by many adventure geeks and voyagers. It has a rugged and sturdy construction and is designed to last for many years. It can accommodate two persons (sometimes 3 too) and the weight carrying capacity is of 650 lbs. It has a length of 12 feet and is spacious enough. 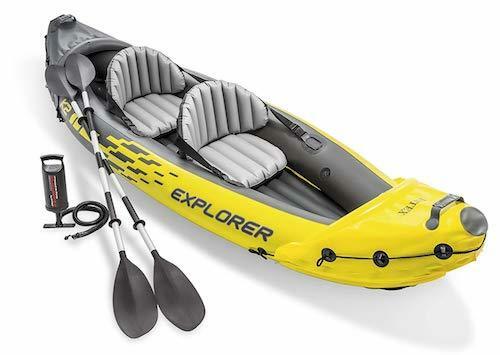 The package includes 2 paddles, storage bag, 2 deluxe inflatable kayak seats, and a foot pump. 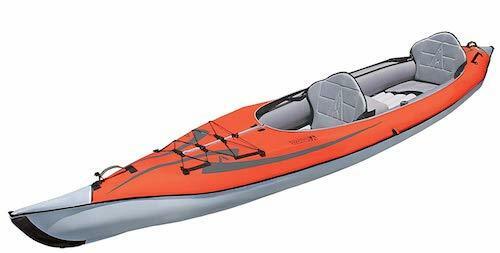 The kayak is made up of extra thick and durable 33 mil polyKrylar and I-beam floor. It has 3 separate chambers; floor, starboard walls, and port. A repair kit is included. The separate chambers increase safety in case of puncture. It is very easy to lift and carry. Skegs are provided for stability and maneuverability. I-beam construction floor adds to rigidity. Can be affected by wind blowing because of its lightweight. There are no ropes on the side for gearing or tying. NRS Pie Angler is best suitable for whitewater in our list as it is suitable for both rough and calm waters. It is built with high quality materials to bear the rigors of fishing and voyaging. It has a compact design and can be easily stored in a car trunk to carry along. If you’re looking for an inflatable sea fishing kayak, this one would be a perfect choice. It is made up of heavy duty abrasion resistant PVC which makes it very sturdy and durable. It includes an easy access tackle bag and a nylon bag with shoulder straps. It has an adjustable and collapsible removable seating system. There are two removable skegs included to improve the tracking. It is equipped with whistles and bells for emergency situations. There is a front bungee lacing and 2 easy carry handles provided to easy portability. There are 32-D rings made up of stainless steel which helps rigging the boat. It is very stable and comfortable. 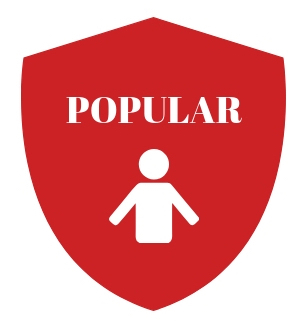 It offers an easy entry and exit area to the user. It is very easy to paddle and maneuver due to the skegs provided. It can withstand the rigors of fishing. It can be easily inflated and deflated. There are no foot braces included. The tracking is not up to the mark. Sevylor is a famous kayak manufacturer and its kayaks are known for their reliability and stability. 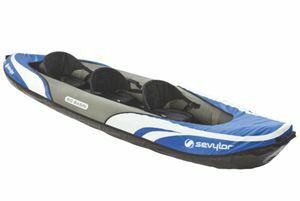 The Sevylor inflatable fishing kayak is a good quality kayak designed for all the fishing and adventure enthusiasts. The Quikpak K5 is the best fishing inflatable kayak on our list. Though the rigid kayaks are a lot of fun, but this inflatable kayak is sure to give a tough competition to these rigid ones. This inflatable kayak is very popular because of its lightweight and portability. 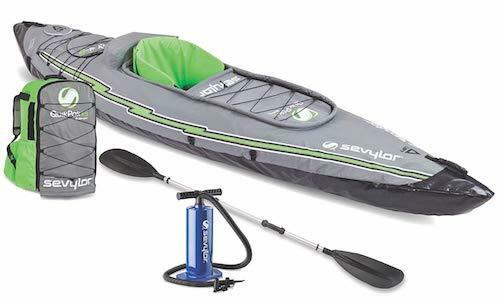 The sevylor inflatable kayak has a polyester bottom that is reinforced with laminated PVC. It is suitable for one person and can hold around 250 lbs. It includes a back system that is very light weight and can turn into a seat. The bottom is made up of Tarpaulin and polyester which protects the kayak from being punctured. There are padded shoulder straps for carrying the kayak. Front and back bungee cords are provided along with a spray skirt and multiple D-rings. To improve the maneuverability, the manufacturer has added a directional strake and a tracking fin. The storage system is integrated and spacious. It is very lightweight and can be easily carried by a single person. There are multiple air chambers that keep the kayak secure in puncture situations. It has a sturdy design and enough storage room. The paddle is not very sturdy. The leg room is a bit congested and can cause trouble to tall people. This inflatable kayak is well suited for you if you are looking for a large one. The inflatable sea kayak can accommodate 3 persons and is made up of premium quality materials to improve the user experience. The good thing is that, it is very affordable too as compared to others. The kayak is perfect for recreational sailing in slow moving rivers, ponds, lakes, and dams. The kayak is not designed for high performance and is more suitable for calm and smooth waters. It is made up of heavy duty PVC and has a rugged construction. There are multiple air chambers that keep the kayak inflated even if any of the chambers get punctured. The air tight system is patented and guaranteed to prevent leakage. There are adjustable and comfortable seats provided. The double threaded Boston valve makes it easier to inflate and deflate the kayak. There are spray covers to prevent you from being wet due to splashes. The Tarpaulin bottom prevents puncture. It has a durable bottom which prevents punctures. It offers easy inflation and deflation. It has a good maximum weight capacity. It is very large and can accommodate 3 persons. The seating arrangement is very comfortable. It is not suitable for rapid and fast waters. There are limited storage options as there are no bungee cords. The inflatable kayaks are used for many different reasons and thus it is important to determine the purpose first. They are getting more popular because of their ease of use and portability. There are so many options available on the market and choosing one can be challenging. Choosing a kayak according to your requirements is imperative and thus we have formulated a buying guide to help you choose the most suitable kayak for you. Following are the factors that will help you choose the best suitable inflatable kayak. An inflatable sea kayak is made up of different materials. Kayak manufacturers mostly use PVC, nitrylon, and hypalon for designing. The PVC material is normally used for coating on nylon or polyester and it increases the strength and durability of the kayak. This material also makes the kayak strong enough to resist tears and punctures. PVC is a durable and cheap material and it is available in a variety of colors. However, this material can’t withstand high temperatures and there are much controversies on how it can damage the environment. Hypalon is another material used by kayak manufacturers to make an extra coating because it is very durable. Hypalon resists heat and UV rays and is not harmful to the environment either. It is the best quality material as it is very durable and sturdy, but the only thing is that it is very expensive. Nitrylon is cheaper than hypalon and many kayak manufacturers are using it instead of PVC because it is more eco-friendly than PVC. Nitrylon offers stronger puncture resistance as compared to PVC but lesser than Hypalon, however it is heavier than both of the materials. There are self bailing as well as non-bailing kayaks available. Self-bailing kayaks have hole in the raised floor that allows water to drain out while non-bailing kayaks don’t have this feature. If water splashes inside the kayak, you have to take the water out yourself in a non-bailing kayak. However, some non-bailing inflatable kayak manufacturers are including spray covers so there is no splash of water inside the kayak. Sometimes the self-bailing kayaks don’t work properly in rough waters because the holes don’t drain the water out very rapidly. If you are getting bothered due to the holes, you can use plugs to cover the holes and then take them out when needed. The sit-in kayaks are more popular among people who love sea voyaging and kayaking because they are somewhat more comfortable. There is a cockpit provided in the sit-in kayaks which allow the users to sit inside the kayak comfortably. These kayaks keep you from getting wet because they have raised walls and there are lesser chances of splash coming inside. Whether you’re going to choose a sit-in or sit-on-top kayak, it will depend on your exposure. A sit-on-top kayak provides easier entry and exit to the users while a sit-in kayak has a proper seating system which will take some time to adjust. Weight and size of the kayak are two important factors before buying one. An inflatable sea fishing kayak is available in a variety of sizes and weights and you have to choose wisely among them. How are you going to transport the kayak and how much space do you need for storing supplies? These are the questions to ask yourself to make a good decision. Some of them are very compact and they fit easily into the car’s trunk while others need to be deflated to transport them. If you’re going to paddle alone you must consider the weight of the kayak and make sure you’ll be able to carry it without anyone’s help. For women looking for the most suitable kayak, we recommend you to check out this article. These days most of the best inflatable fishing kayaks can be folded into a backpack and they have padded shoulder straps for easy carrying. Buying a kayak also depends on the number of people that are going for the expedition. Are you going there alone or will there be one or two partners with you? Kayaks are available in a variety of options such as those with a single seat or with two or three seats. Some people love to paddle alone while others want to do it with their friends. However, some people want versatility and they love to paddle both ways. If you love to go on a sea voyage alone and with friends both, you should go for the tandem kayaks. A tandem kayak also offers storage option so that you can put some accessories in that extra space. Also consider the weight capacity of the kayak because even with two or three persons you’ll need some extra space to put things for use. If you are tall and large you should consider a kayak with enough leg space to paddle with freedom. A convertible kayak is the one that can be adjusted to one or two persons when needed. A two person kayak is more stable than a single person kayak but if you love to paddle alone you can buy a convertible kayak. The convertible kayaks have removable or adjustable seats that allow you to change the kayak into a single person kayak or a two persons one according to the needs. Inflatable sea kayaks are available for different water conditions and the manufacturers specify this too. 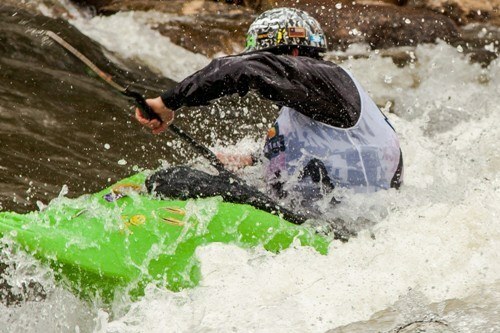 There are classes of rapid water and they are mentioned on the kayak. Some kayaks are designed for rough waters while others are good for smooth and calm waters. If you love to paddle in lakes and slow rivers, you can go for the kayaks that are rated for class I or II rapids. The kayak for white water is designed to handle the rough waters and is rated for class III rapids. Kayaks that contain an I-beam floor are more stable and they don’t tip often. You have to pay attention to the materials with which the kayak is designed because the most durable kayaks will be able to handle rough waters easily. Puncture resistance should also be considered before going for paddling in white waters. If you love going to large water bodies you must go for kayaks that have multiple chambers so that in case of puncture you paddle easily and safely to the shore. Not forgetting to mention that kayaks have multiple chambers which increase the security of the vessel. There are some kayaks which were available as a single chamber but that can be dangerous in case of punctures. Especially in rough water when there are choppier waves, there is a chance that the kayak gets punctured and then it would be dangerous because the kayak would sink. Make sure you are fully aware of the real dangers of kayaking before embarking on a solo journey. A multiple chambered kayak has more than one chambers and separate air valves for inflating or deflating them. In case of puncture, only one portion will deflate and the other chambers will remain inflated. This will allow you to sail back to the shore safely. However, these kayaks take more time to inflate and deflate because there are so many air valves for the purpose. If you’re going to sail your kayak into smooth and calm waters such as lakes and slow rivers, you can go for the single-chamber kayak because of the ease of setup. To sail in the rough waters, we would recommend not taking risk and buying the multiple-chamber one. Another important factor to consider before buying a kayak is the purpose of kayaking. What are you planning to do in the water? Are you going for fishing? Are you going for sea voyaging for a day? Will you need a lot of space for storing supplies? If you are going for a full-day trip you must consider kayaks with a comfortable seating arrangement with enough space for storing items. There should be supportive seat backs so that you are able to sit comfortable for long hours. If you are concerned more about the storage, you should go for those which are equipped with mesh pockets, D-rings, and bungee laces. The D-rings allow extra items to be clipped and the mesh pockets provide easy access to items. 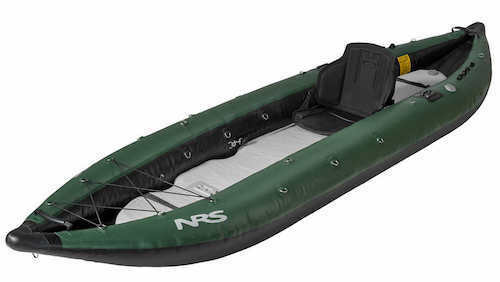 If you are going for fishing there are some of the best inflatable fishing kayaks listed in this post that are designed especially for fishing purposes. These kayaks have special angler like rod holders and they are extra stable and not visible too much so that the fishes don’t get away from the kayak. If you are an expert kayaker you can buy a professional kayak that is designed especially for experts. Buying a kayak will also depend on your level of skills so if you’re a beginner or expert, you must make an informed decision. For beginners, there are small and simple inflatable ones that are easier to control, but for professional kayakers there are more advanced models. Tips for beginners, understand your level and know the risks and dangers when you kayak alone. Certain accessories can be important for your kayak. Some of the important accessories include air pumps, kayak paddles, repair kits, and PFD’s. A repair kit proves to be very handy when the kayak gets punctured and it should be present on the kayak for such uncertain situations. Some kayak manufacturers don’t include these accessories but you can buy them separately to make sure you aren’t left behind. Go for dual action air pumps and high quality paddles for a good kayaking experience. Spray skirts are also very beneficial especially if you are going to paddle in rough waters. The spray skirts prevent you from being wet when the water gets splashed across your kayak. There are kayaks with waterproof storage options too to prevent your valuables from being wet. The spray skirt also prevents the water from getting accumulated inside the kayak. Another useful accessory is the air gauge that makes it easier to inflate the vessel into a perfectly rigid one. A storage bag proves to be very handy if you are looking for a kayak with no storage space. Such kayaks are more lightweight and portable and you can comprise on the storage space by buying a separate storage bag. 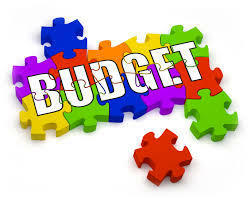 If you don’t have budget constraints, you can easily choose whatever you think you like. But if you are on a tight budget, you should consider something that costs below $500. However, it should be noted that a cheap kayak will not last longer as compared to the more durable and expensive ones. Many are available for $200 or $300 but they are made up of less durable materials and are not equipped with as many features as the expensive ones are. Before making a buying decision, you must be thinking are these type of kayak any good? Some people argue that inflatable kayaks can’t be compared to the rigid kayaks because the hard shell or rigid ones offer better tracking and maneuverability. However, these days this kind of kayak is getting very popular because of their ease of setup and portability. Following are its main advantages. The best feature is that they are very lightweight as compared to the hard shell kayaks. This makes them portable too and you can easily transport them wherever you want to. Hard shells on the other hand are very difficult to transport because they can’t be fitted into a car’s trunk. Inflatable kayaks can be folded into a backpack too, which proves to be a very handy feature if you have to travel long. After deflating them, you can easily keep them in a shelf or closet at your home as they can fit anywhere. However, if you are interested to know how to transport your kayak using your own vehicles' roof, check out our articles on Best Kayak Roof Rack. Inflatable kayaks are being used for a lot of purposes these days. You can use them for white water fishing, touring, sea voyaging, and doing other activities in the water. These kayaks are available in a huge variety of designs and styles and can be choosing according to the type of kayaking you are willing to do. The inflatable kayak can vary according to the weight capacity, size, load limit, and length. Whether you’re going for whitewater rafting or just for paddling in a lake, the best inflatable kayaks are there to make it easy for you. 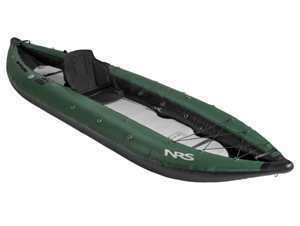 They are more affordable as compared to the rigid kayaks. Even if you are a professional kayaker, you can consider buying an inflatable kayak because they are available at a very reasonable rate and have lots of advantages too. If you are just thinking to begin this sport, an inflatable kayak is the best way to start. A hard shell kayak can get damaged when it hits the rock or something sharp. However, inflatable kayak is designed to resist such damages and punctures. There are double floored kayaks that are prone to puncture and they don’t tip over either. Using an inflatable kayak for your sea voyage is an excellent choice as they offer a convenient and cheaper alternative to the rigid kayaks. The choice of buying an inflatable kayak will depend on your requirements and preferences. We listed some of the best inflatable kayaks in this post which are from the most popular and reliable brands. Though all the kayaks mentioned in the list are one of the bests, we will highly recommend going for the Advanced Elements AE1007-R Kayak which is loaded with top-notch features for convenient kayaking. This inflatable kayak is perfect for you whether you’re a beginner or an expert kayaker.